Pioneers in the industry, we offer regenerative ring blower, high pressure ring blower, ring blower and high vacuum ring blower from India. 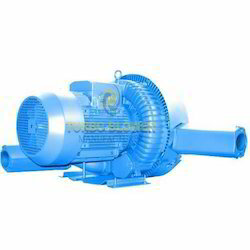 We are offering Regenerative Ring Blower to our clients. 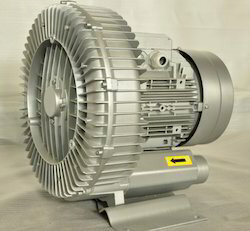 We are leading manufacturer of Side Channel Blower. 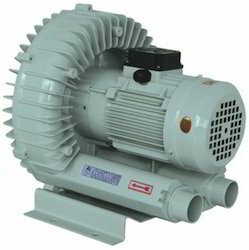 The use of Turbo High pressure ring blowers is common in machine-building as high pressure ventilator, vacuum pump, air pump, booster, low pressure compressor and oil-free compressor. The applications are unlimited like aireting, dust cleaning, vacuum lifting, vacuum tables, blowing off, pneumatic transport, cooling and vacuum molding. Ventilation of sewage treatment plants - Enriching water with oxygen. We are offering Ring Blower to our clients. 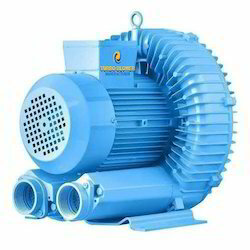 The use of Turbo Ring blowers is common in machine-building as high pressure ventilator, vacuum pump, air pump, booster, low pressure compressor and oil-free compressor. The applications are unlimited like aireting, dust cleaning, vacuum lifting, vacuum tables, blowing off, pneumatic transport, cooling and vacuum molding. The use of Turbo High vacuum Ring blowers is common in machine-building as high pressure ventilator, vacuum pump, air pump, booster, low pressure compressor and oil-free compressor. The applications are unlimited like aireting, dust cleaning, vacuum lifting, vacuum tables, blowing off, pneumatic transport, cooling and vacuum molding. Looking for Ring Blower ?